Just grab your bag and let’s go! Ehm well… which one? :D Sounds familiar? Flight is tomorrow, with a hand baggage only, but no idea what size bag can I carry on the plane? Well let’s find out! It looks like all companies decided to go wild with the size allowance and number of bags! Another great example that size does matter and it cost money too! Cruel world… Below are a cabin baggage allowances for 3 low-cost Airlines in EU plus some useful links to help you pack quicker. I was going to update this on regular basis but maybe there wont be a need for it soon :) Fingers crossed! Apparently there are some rumours from IATA (International Air Transport Association), about new rules for the hand baggage sizes. Some largest airlines of the world have already agreed with new rules. Among those airlines are also Lufthansa and Emirates Airlines. Interesting right? More about this topic on the IATA website OR check out this one Can a Universal Luggage Size Make the Carry-on Process Better? – Yes it can! We all look forward to it :) I will follow this topic and update once I find out more. In the meantime we have to measure. Have a look below if you about to fly & enjoy your trip and don’t forget to pack a smile & a credit card! Bon voyage mon amies! FREE – 1 cabin bag weighing up to 10kg with a maximum dimensions of 55x40x20cm + 1 additional small under seat bag with a maximum size up to 35x20x20cm = may be carried per passenger. FEE – Checked baggage allowance of either 15kg or 20kg. For more up to date info, check out baggage dedicated section on their website before you go. Large cabin bag: 56x45x25cm for a FEE / Small cabin bag: 42x32x25cm can be taken onboard FREE. FEE – Up to 6 pieces of checked-in baggage not exceeding 32kg each (I have to say pretty impressive & the reason I looove them). FREE – 1 cabin bag with a maximum dimensions of 56x45x25cm. 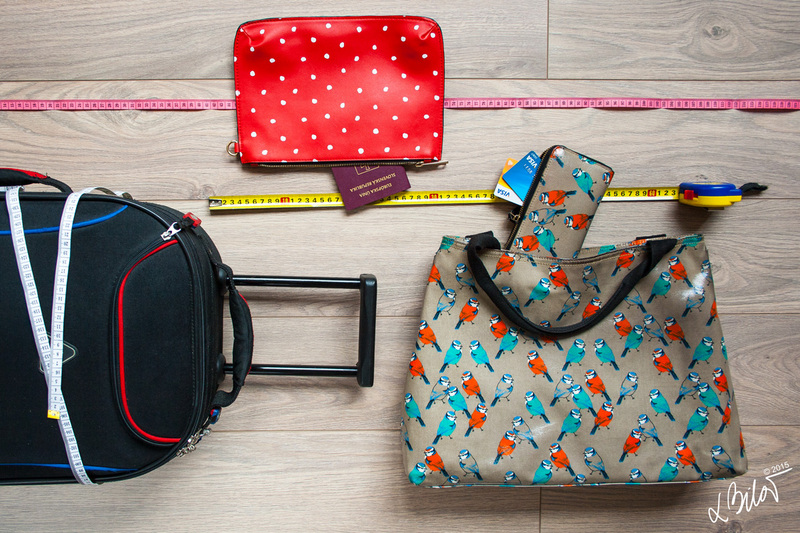 A total size of check-in baggage has to be under 275cm and a standard weight of 20kg per bag. Free baggage limits for a standard economy passenger of some more airlines – Airline baggage on WikiTravel. Im ready to flight with RaynAir (I hope :D )!!! Slovakia here I come!